Want to be notified of new releases in ServiceStack/sharpscript? Pull request Compare This branch is 29 commits ahead, 5 commits behind NetCoreApps:master. 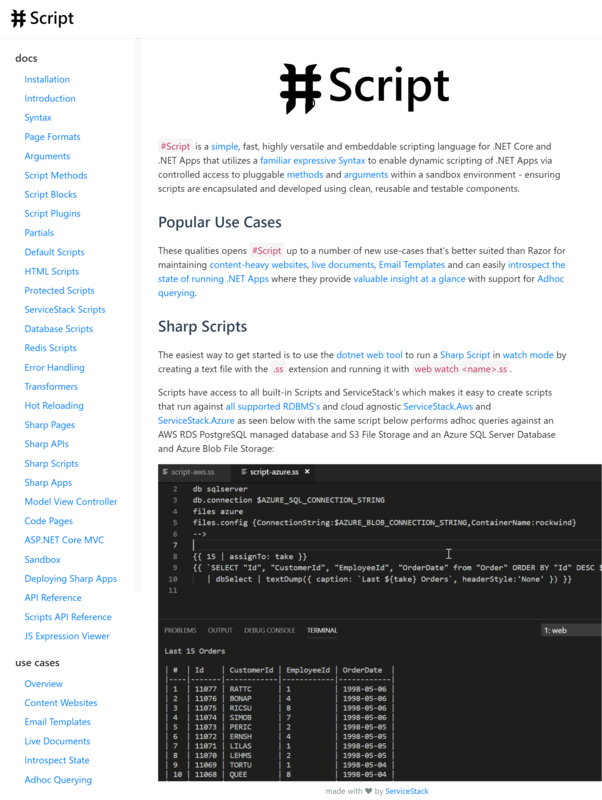 Comprehensive Documentation complete with Live Interactive Examples on using SharpScript.